This Diamond Saw Blade is laser welded by German laser welding production line, by which achieve good welding strength. In this case, segments won't break during the cutting project. Due to abrasive properties of asphalt, there're protective segments with the Asphalt blade, aiming to protect steel core. 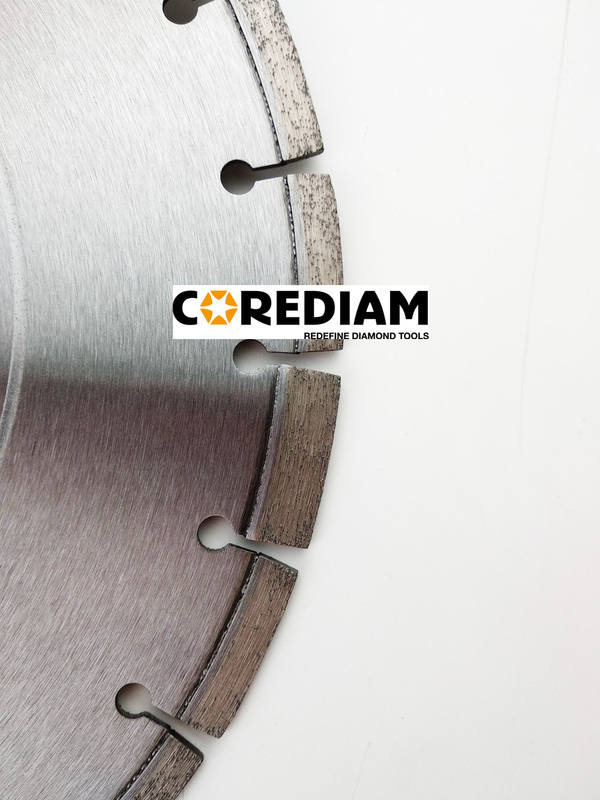 Diameters of this Segmented Blade are ranging from 300mm to 600mm, which are used on the handheld power saw, floor saw, walk-behind saw. Asphalt saw blade is used for cutting asphalt-concrete, asphalt and other abrasive materials with excellent performance. Other specifications are based on your request. We can also supply concrete saw blade, general purpose saw blade, stone saw blade etc. Every diamond saw blade will be packed by a separated paper box. Air, Sea, EXPRESS all acceptable. Delivery time will be about one week when payment confirmed. Looking for ideal D350 Laser Cutting Saw for Asphalt Manufacturer & supplier ? We have a wide selection at great prices to help you get creative. All the Floor Cutting Blade Diamond in D300 are quality guaranteed. We are China Origin Factory of Laser Welded Asphalt Disc 350mm. If you have any question, please feel free to contact us.